Love this game, no good at it but I still love it, and have now struck a funny problem with a new phone. 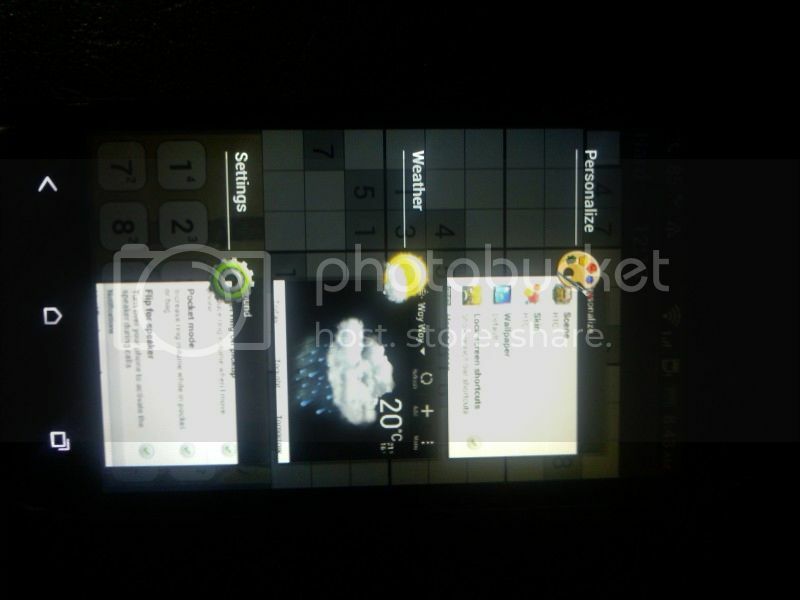 The phone is HTC Desire V - and Sudoku works fine except I cannot access the 'Menu' - validate, auto-fill, hint etc. Now I'm quite prepared to wear a dunces cap if there's something I've overlooked but this has not been a problem for me on any other phone or tablet. You probably have a software menu option. Usually, it would be under the three vertical or three horisontal lines that would appear at the top-right or at the bottom of the screen. jeka wrote: You probably have a software menu option. Usually, it would be under the three vertical or three horisontal lines that would appear at the top-right or at the bottom of the screen. This 'menu' button is different on the HTC and termed 'recent apps' - it's not the normal three bars but looks like screen on screen and brings up a selection of the main apps from the home screen, not the menu from Sudoku. The HTC is very new to me and maybe this default behaviour can be changed somewhere deep within the settings but is not immediately apparent - I'll post if I do find a solution. Maybe people with this brand are bypassing Genina's sudoku if they are unable to fully use and evaluate the program because of this 'Feature'. If I can't find an answer to this odd happening it would be the path I'd have to look at - unfortunately. I can't imagine that the "recent apps" button is the only one available on screen. 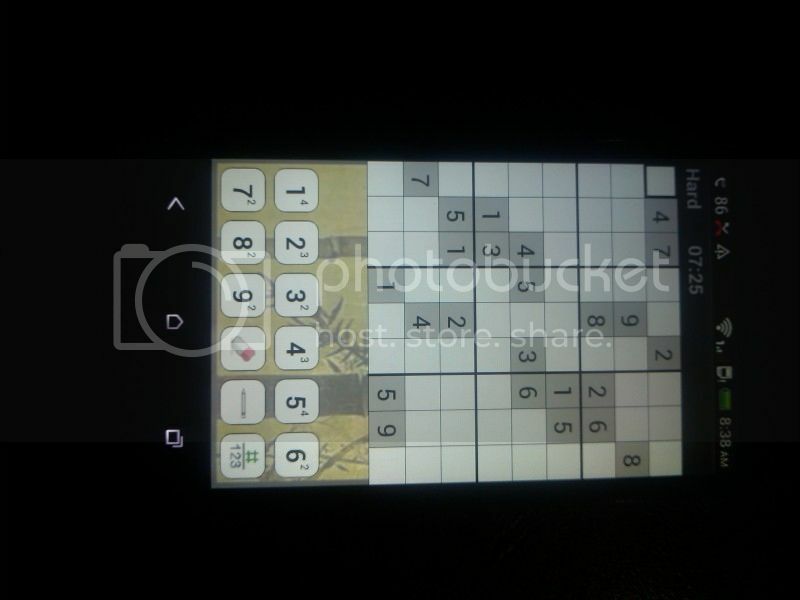 If you could take a screen shot of Sudoku running, I'd be able to point to where the menu is. jeka wrote: I can't imagine that the "recent apps" button is the only one available on screen. If you could take a screen shot of Sudoku running, I'd be able to point to where the menu is. After doing some searching online I think I may have a solution for you. Please let me know what happens if you hold the "Recent Apps" button a little longer (so, just long press it). YES! - Thank you so much. The lack of a menu is also a problem on the I-Phone version also. This latest application does not seem to have a menu feature at all on the latest version that is available while playing the game. I hope genina is able to correct this problem. The iPhone version has a menu accessible via the "curled corner" on the lower right. In addition, just FYI: we are working on an easier way of accessing the menu. I have just up-graded to the Galaxy 5S. I've had Genina Sudoku on earlier Galaxies and easily found the Menu button to be able to Undo, Validate, etc. but with the new phone I am not able to find the menu button as something else entirely comes up! Can anyone help?! The menu on Galaxy S5 is accessed by long pressing the "Recent Apps" soft button to the left of the home button. Regards. Thanks for that but I've already tried the left hand button and all I get is the recent apps but no way to access the Sudoku menu. When I've looked at the app info it does not present me with any way to access the menu! Any more thoughts?! You need to long press the "Recent apps" button. That is, press and hold it until the menu comes up. Thank you Jeka, did as you suggested and it was a success! Many thanks!